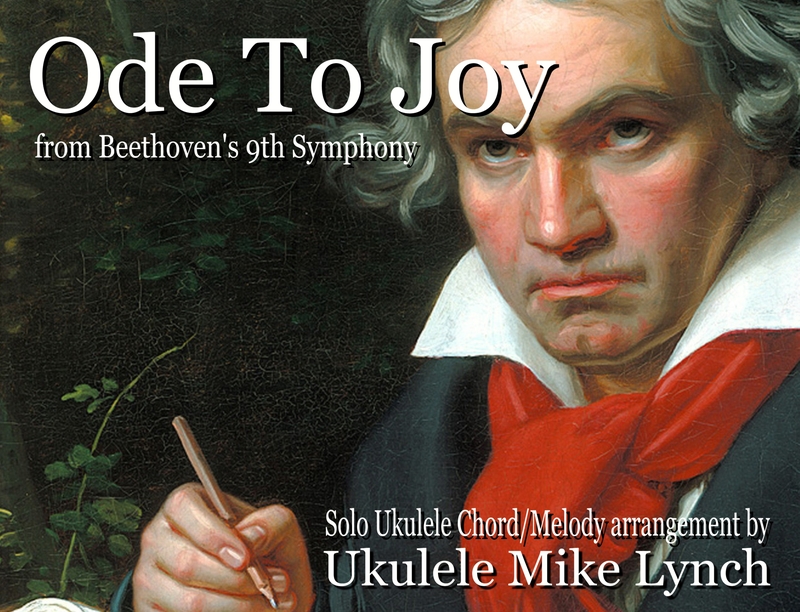 Ode to Joy” (German: “An die Freude”, first line: “Freude, schöner Götterfunken”) is an ode written in the summer of 1785 by German poet, playwright and historian Friedrich Schiller and published the following year in Thalia. A slightly revised version appeared in 1808, changing two lines of the first and omitting the last stanza. It is best known for its use by Ludwig van Beethoven in the final movement of his Ninth Symphony, which does not set the entire poem and reorders some sections (Beethoven’s text is given in that article). Beethoven’s tune (but not Schiller’s words) was adopted as the Anthem of Europe by the Council of Europe in 1972, and subsequently the European Union. 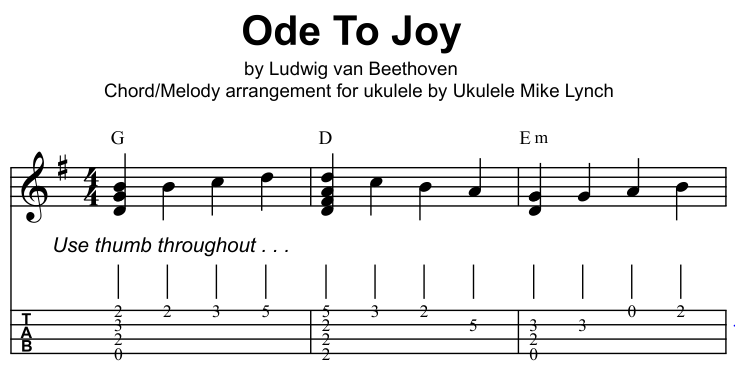 the ukulele . Here is a small excerpt from my arrangement . Notice the top staff is standard treble clef notation. The bottom staff is in tablature format. even slightly let up pressure from the strings that will mute the string making our playing choppy. This requires attention to detail. . .It pays off though, as our playing becomes smoother and more elegant. get to the place where we can “sight read” a line and play it outright. But the keyword is patience oh and daily repetitive practice . .. I once had a piano instructor who told mas a young boy he had the opportunity to meet the composer Bela Bartok. He asked Mr. Bartok for advice and Bartok said PRACTICE, PRACTICE, PRACTICE. May our PRACTICE time be fun. . . may it always be a joy. . . Happy Strumming . 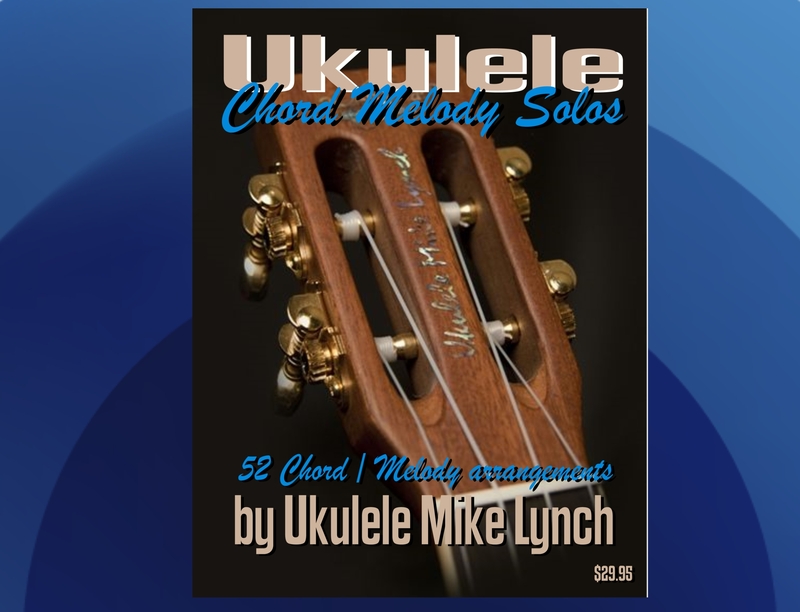 . .
ODE TO JOY is included in my brand new CHORD/MELODY eBook.